This guide is intended to address information gaps between architectural offices and construction professionals around the world who wish to specify more sustainable materials and services. On the other hand, this work was designed to serve as a vehicle for informing the average consumer who wishes to build / rehabilitate their homes in the sense of true sustainability, since the need to reduce the consumption of resources is an undeniable path. The construction needs the dissemination of information on a more sustainable construction that reaches the greatest number of people, in order to advance and respond to the need for sustainable development in this sector. 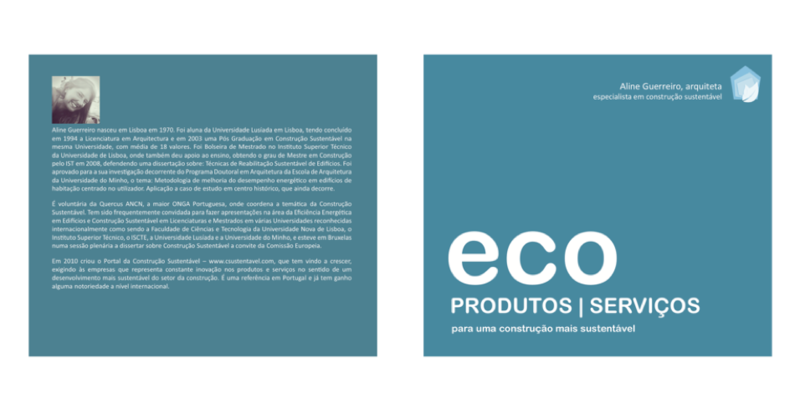 It was in this sense that the Sustainable Construction Portal (PCS) decided to edit this guide, which requires represented companies to constantly innovate and credible information about the products and services they provide, since these are an integral part of the construction and a database of products and services. services that can be consulted anywhere in the world, does not exist. On the other hand, the way of evaluation and selection of the materials continues to be poorly defined, in addition to the fact that the construction industry is not very oriented towards the sustainability of materials.